Family Visit — Nom Voyage! I am so excited to have my first houseguests since moving to Portugal! My sister and her husband flew over from the U.S. on Saturday and I've been exploring the streets and sites of Coimbra with them. My husband and I have been making mental lists for months now of all the beautiful, yummy and fun places we would take visitors to and now we finally have that opportunity. We knew that no matter what, any guest in Portugal would have to try the world famous Pasteis de Nata. The original custard tart recipe was created in Lisbon by nuns and is still a well-guarded secret where it's made at the Antiga Confeitaria de Belem. These below, however, are the closest to the original I've found in Coimbra at Nata Lisboa. Nata Lisboa also has sandwiches, empadas (mini pies), salads, beer, a large selection of coffee drinks and in the cold weather they serve an amazing thick European hot chocolate. We also stopped at Pastelaria Briosa in Portagem for more pastries to take home. We walked up through the gates of the Almedina, where in ancient times soldiers defended the city from invaders. At the top of the city, we arrived at the Universidade de Coimbra, Europe's oldest university. We bought tickets to see the Biblioteca Joanina - the amazingly decorated golden library with wall after wall of ancient books. It was €9 per adult to enter, which includes entrance fees to several other buildings off of the main courtyard. 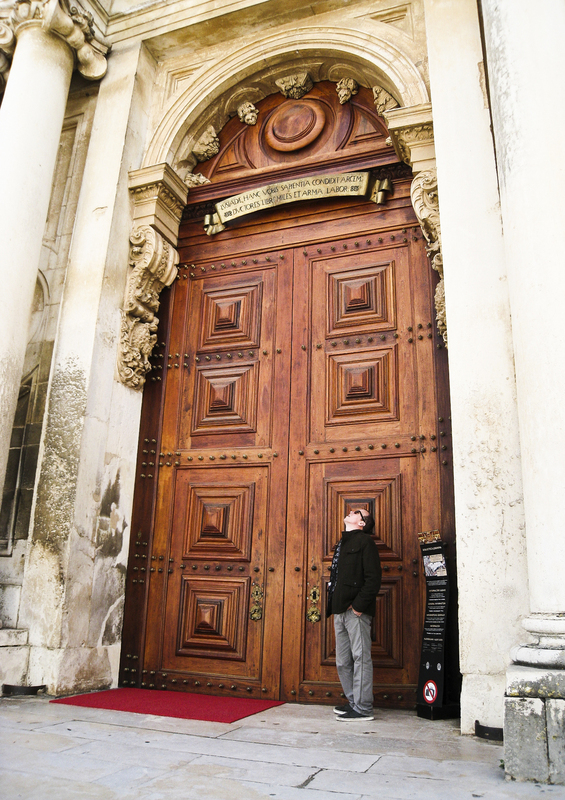 No photos were allowed inside the buildings, but you could photograph the great doors leading to the Library. We went to this amazing restaurant near Coimbra-B station called O Telheiro for dinner. We'd been taken there by friends when we first arrived in the city and were amazed by how good the food was and how reasonable the prices were. Our server had a lot of great recommendations for us - he spoke English and was very knowledgeable about the menu. 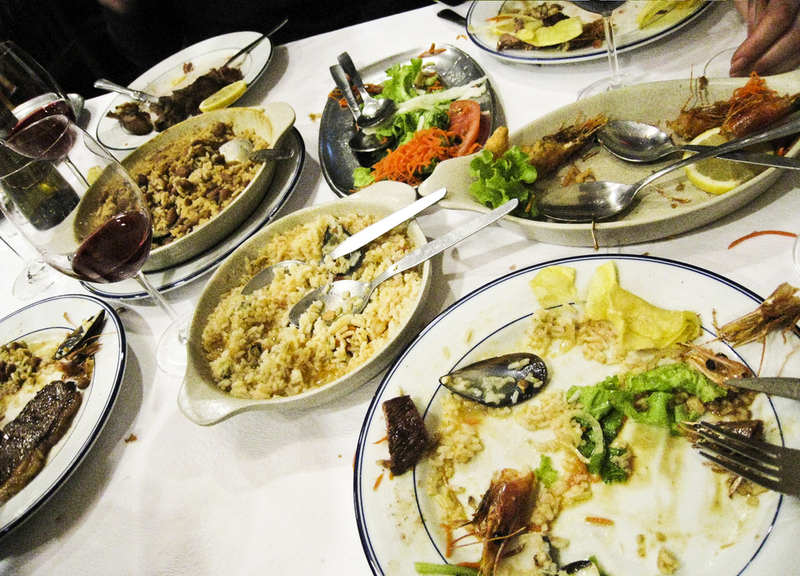 In addition to your dinner, they bring out plate after plate of appetizers, side dishes, salad and especially dessert. Oh, so much dessert - and it was all made on the premises. It's almost impossible to say no.